Artexis Easyfairs has announced 5 acquisition in the first quarter of 2015. Artexis Easyfairs, through its Easyfairs Switzerland GmbH subsidiary, has acquired Pack&Move Basel from MCH Messe Basel. Easyfairs plans to bring together the two trade shows Pack&Move Basel and Transport&Logistics Bern, which will be co-located with Easyfairs’ three packaging events in Zürich. The terms of the deal were not disclosed. The new Swiss logistics event will take place annually at Messe Zürich, with the first edition on 6th & 7th May 2016, alongside the established packaging events Empack, Packaging Innovations and Label&Print. Easyfairs has acquired Northeral, organiser of Algiers based Maghreb Pharma Expo, the largest pharmaceutical technology trade show in Africa. The terms of the deal were not disclosed. Easyfairs has acquired Tank Storage Magazine. The terms of the deal were not disclosed. Tank Storage Magazine is a publication for the tank storage market, covering breaking news, market analysis, policy and regulations affecting the industry as well as new products and equipment. The print edition is sent to readers in 80 countries globally including Oiltanking, Peter Cremer, BP, Morgan Stanley, Flint Hill Resources, Macquarie and Rubis. It is a good strategic fit for Easyfairs, which delivers a portfolio of tank storage events. These take place in the bulk liquid storage hubs and strategic ports of Abu Dhabi, Antwerp, Singapore, Hamburg and Rotterdam and include StocExpo, which the company acquired from Horseshoe Media in 2011. Artexis Easyfairs has acquired the management of the Dry Bulk Conference and Exhibition from the publishers of Dry Cargo International. The terms of the deal were not disclosed. The event will be rebranded the Dry Cargo Europe Conference and Exhibition and will open its doors to visitors on 30 September and 1 October 2015 at Ahoy Rotterdam in The Netherlands, alongside Artexis Easyfairs’ trade show for powder and bulk technologies, Solids. In late December 2014, Artexis Easyfairs reached an agreement with company Con-Fuse about the acquisition of FACTS, the comics, sci fi and anime festival in the Benelux held annually at Flanders Expo in Ghent, which is also run by Artexis Easyfairs. 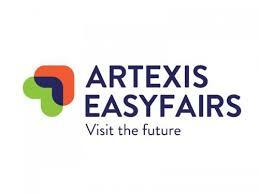 Dirk Van Roy, CEO of Artexis Easyfairs Benelux said: “With FACTS, we diversify again within our events portfolio. For several years already, FACTS has experienced significant growth in a segment that is new to us. As a market leader in the organisation of ultimate meeting & market places, our aim is to increase the experience of this close-knit community even more”. In October 2014, FACTS was organised for the 24th time. Since its inception, FACTS has developed into a successful, 2-day event of 250 exhibitors and 40,000 visitors. It is not only the oldest, but also the biggest comics, sci fi and anime festival in the Benelux.